If there is one thing I am super self conscious about it's my teeth. From a young age I never had the best looking teeth, despite taking very good care of them. I had an overbite which a couple of people had pointed out during my school years. I was pointed at, laughed at and I was even nicknamed 'Bugs Bunny' by a few classroom bullies, which is enough to make anyone feel embarassed and upset by their appearance. Thankfully since then my overbite has been corrected through a couple of years of wearing braces, and then onto a double jaw surgery operation. It was quite a dramatic move to make, but it seems to have been for the best, though I still have a few issues with my teeth now. I am still not yet comfortable with smiling with my teeth, even though they are straighter. I've always wanted them to be much whiter, though I never wanted to invest a lot of money in my bid for whiter teeth so I always tried cheaper alternatives instead, most of which were whitening toothpastes. 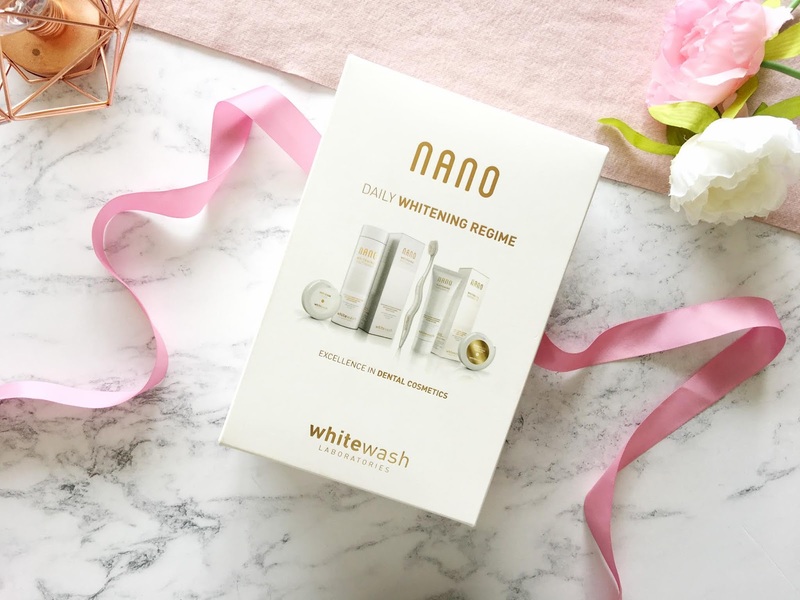 For the last couple of months I've been testing out the Whitewash Nano Daily Whitening Regime in my bid to achieve whiter teeth, but did it get a thumbs up, or a thumbs down?